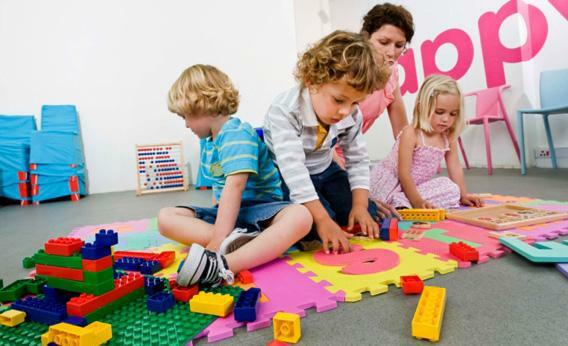 How important is preschool? If you are researching early education philosophies, not very. If you are reading this article, your kid probably doesn’t need preschool. To go to preschool or not to go to preschool … ? One morning last September, my husband dragged himself out of bed at 5 a.m. and rode his bike to a nearby preschool. The moonlit block was empty but for the first seeds of a sleepy line forming outside the school’s doors—he was the sixth person to join it. By 8 a.m., the line stretched all the way down the block and disappeared around the corner. Eventually, my husband was invited inside, where he handed a stranger an application and a check for $50 and promptly left. So began our son’s preschool application process for the 2013/2014 academic year, 12 months in advance. It wouldn’t be New York if preschool admissions, or any admissions, were easy. But yearlong pre-preschool stress-fests are now sweeping the nation, with upper-middle-class parents ranking schools and agonizing over which educational “philosophy” is right for their kid, even as research suggests that if you have the time and money to argue over the merits of a Waldorf preschool versus a Montessori one, little Emma isn’t going to suffer either way. In fact, she probably doesn’t need to go to preschool at all. The kids who truly need early education have parents who, sadly, can’t afford it. It’s hard to tease out the effects of preschool on a child. Part of the problem is self-selection: Compared with kids who skip preschool, kids who attend usually have more well-to-do, encouraging parents who read and do puzzles with them at home. Children who don’t go to preschool are usually from more disadvantaged families, which means they watch lots of TV and are yelled at more than they are praised, which some researchers believe can stunt cognitive development. I am not making a Bell Curve argument here; promise. But research suggests that parents who are financially comfortable tend to devote more resources and time to their kids, in part because they can. In work they conducted at the University of Kansas and chronicled in their book Meaningful Differences in the Everyday Experience of Young American Children, Betty Hart and Todd Risley recorded, for two-and-a-half years, a full hour of conversation every day between parents and children from 42 American families of differing social classes. Children with professional parents heard about 30 million words by the time they turned 3, compared with 20 million in working-class families and 10 million in welfare families. In addition, the ratio of parental encouragements to reprimands was about 6-to-1 among professional families, 2-to-1 among the working class and 1-to-2 in welfare homes. These different experiences closely tracked with the children’s later academic and intellectual performance, and other studies have since supported these findings. But what does all this have to do with preschool? Research suggests that preschool only benefits children from these disadvantaged families (in particular, families that are below the poverty line, whose mothers are uneducated, or who are racial minorities). This could be because preschool acts as a kind of “equalizer,” ensuring that for at least a few hours a day, these kids get the same high-quality interaction with adults as more advantaged children do, which helps to even the developmental playing field. For instance, in a study published last year, University of Texas psychologist Elliot Tucker-Drob assessed a number of different characteristics in a group of more than 600 pairs of twins. He looked at the scores the children got at age 2 on tests of mental ability; whether or not they went to preschool; how “stimulating” their mothers’ interactions were with them; their socio-economic status and race; and finally, how well they scored on reading and math tests at age 5. Because he was comparing what happened to identical twins, who share all of their genes, and fraternal twins, who on average share half (yet both sets typically grow up together), Tucker-Drob could home in on the effects of environment and genetics on the kids’ outcomes. So if preschool doesn’t really matter for advantaged kids, then the type of preschool matters even less. Waldorf, Montessori, Reggio Emilia, Catholic school? Might as well flip a coin. Some approaches may, of course, be a better fit for certain personalities: Waldorf schools, which teach through imitation and imagination and don’t ever give tests, might mesh well with artistic children (and anti-vaxers, since Waldorf schools have an astoundingly low vaccination rate); the Reggio Emilia approach is a project-based philosophy in which children spend days, weeks, or even months exploring a particular topic, like seashells; and the Montessori method teaches skills through the use of special manipulative materials, perhaps good for an engineer-to-be (though I’m not sure any parent knows what kind of to-be their kid is at age 3). Some new research does suggest that certain Montessori schools could provide an academic edge over conventional preschools, even among advantaged children. Research on Montessori is overall a mixed bag—some research suggests kids do better in them, while other research suggests the opposite. So last year, Angeline Lillard, a developmental psychologist at the University of Virginia, conducted a study to try to tease out the truth. Montessori schools can be parsed into two types: classical Montessori and what Lillard calls “supplemented” Montessori. The classical approach strictly abides by the founder’s rules, only allowing certain types of materials in the classroom and grouping kids of different ages together. Supplemented Montessori, which is far more common in the United States, typically separates children according to age and augments traditional tool-based Montessori learning with activities like pretend play and direct instruction. In addition to the sources already mentioned, The Kids would like to thank Karen Quinn, author of Testing for Kindergarten, and Carolyn Daoust of St. Mary’s College of California.